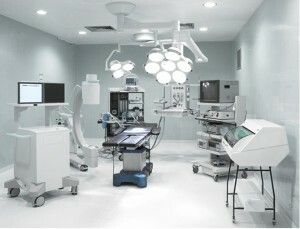 Recently, a major Boston-area hospital sought to resolve a problem in its operating rooms (OR). Nurses were complaining about how difficult it was to open the doors to the facility’s 23 operating rooms, 5 of which had just been built. They couldn’t understand why they had to pull so hard to open the doors. 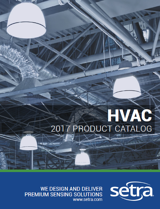 A veteran hospital HVAC engineering and design consultant did some investigating and recognized the problem of airborne lint on the sensors controlling OR pressurization. Yes, LINT, the ubiquitous clinging bits of fiber and fluff that fall off fabrics on such products as hospital scrubs and patient linens, was fouling up instruments that measure operating room differential space pressures. As lint accumulates on the sensing elements of these instruments, they begin to under-report space differential pressure. Pressure is increased to the degree that it becomes difficult to open the doors to enter and exit the ORs. The most obvious solution was to clean the existing instruments more frequently. However, the sensors on these instruments were very small and were easily damaged during cleaning. It was determined that the best solution was the SRPM (Setra Room Pressure Monitor) because it’s sensors do not come in contact with the air in the conditioned spaces being monitored and, therefore, do not need frequent lint removal or any other frequent servicing. Nearly a year after installing the SRPM in one operating room, the problem had been completely resolved. 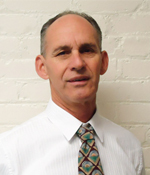 “There is a surprising amount of airborne lint in hospitals, even inside operating rooms that receive highly filtered supply air,” remarks Paul Lindberg, Principal Design & Engineer Department Manager, at Advantage Engineering, a hospital HVAC engineering, design and troubleshooting firm that has worked in more than 40 New England hospitals. According to Lindbergh, the lint originates from “scrub” clothing, operating suite gowns, patient “johnnies,” bed linens, and other fabrics common to hospitals. He notes that ORs have one of the highest concentrations of airborne lint of any hospital spaces; however other hospital spaces in which these fabrics are found also generate substantial amounts of airborne lint, for example, infectious isolation rooms. Part of the problem stemmed from the design of the existing instrument, which contained tubes of about an 1.5" in diameter, in which small sensors (with the diameter of a toothpick) protrude into the tube, over which air passes. With such a narrow space, just a couple of fibers on the sensor could throw off the readings significantly. After determining that the lint was building up on the instruments and causing incorrect readings, Lindbergh looked at whether frequent cleanings might correct the problem. “Cleaning was definitely a viable option – the medical center could send an instrument technician around to clean the units,” he says. “But there’s a risk when you clean these sensors, even with the most delicate of tools, because the sensors are fragile and there is a good chance you’re going to damage them.” Also, the instruments will quickly begin to lose accuracy again after the lint build up is removed. In as little as one month, their accuracy was reduced by about 20-30%! Lindberg was not convinced that cleaning was a good alternative, even if the hospital was willing to invest in monthly cleaning, so he recommended they opt for a different type of instrument that would not be susceptible to reductions in accuracy due to airborne lint. To find another option, Lindberg consulted the controls contractor that maintains the hospital’s environmental control systems. The contractor suggested he contact Setra Systems. The controls contractor had experience using our instruments for industry clean room solutions. “After contacting Setra, their factory representatives sent information on the SRPM instrument for space differential, and I was immediately interested in the fact that the sensors within the instrument are not exposed to environmental air, so airborne lint can’t disrupt them,” said Lindberg. The SRPM is designed for pharmaceutical, hospital, semiconductor, clean rooms, research labs, and other critical low differential pressure applications that require stringent pressure monitoring and alarming. The SRPM monitors the positive or negative pressure in protected environments and airborne infection isolation rooms in accordance with Centers for Disease Control guidelines. It measures and displays highly accurate pressure readings to 0.001 inches of water column resolution. In addition to the enclosed design that protects it from airborne lint, the SRPM has a large, easy to use graphic RGB backlit touch-screen display, allowing fingertip access to menus that guide the user through room setup, application, security and calibration. It features a green LED to indicate normal conditions, and a red LED, audible alarm, and single pole, double throw (SPDT) relay for remote annunciation, to signal unsatisfactory room pressure status. The hospital conducted a trial, installing an SRPM in one of its five new operating rooms. “The unit had been in place for a year, and was giving excellent, reliable information, with no maintenance required,” said Lindberg. In addition to the fact that the instrument works precisely as planned, Lindberg found it easy to swap over from the existing instrument to the new one. 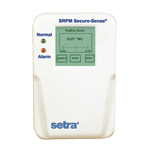 For more information on the SRPM, please visit the Setra Room Pressure Monitor (SRPM) product page or contact us.